We strive to create superior value for our customers, suppliers, and employees through an unwavering commitment to excellence, innovation, execution and consistent application of our core values that promote TEAMWORK, INTEGRITY, & PERFORMANCE. Provide uncompromising personal safety, stimulating, ethical work environment, and professional opportunities for our employees that enable them to develop and deliver sustainable solutions for our customers and drive the science, technology and expertise that will serve the growing global demand for safe, reliable, clean energy through the 21st century. At Babcock Power, our Core Values promote the highest possible practices for corporate ethics and integrity. These Core Values embrace sustained and profitable growth while driving day-to-day decisions that center on Teamwork, Integrity and Performance. With several of our business units serving customers for 100 years or more, the drive to maintain the highest levels of quality performance on behalf of our customers has long since been engrained into our culture. In fact, it’s one of the main reasons that we have proudly earned high volumes of repeat business from so many high quality customer companies year after year. Everyone representing any Babcock business from the top executives to each individual at each job site understands that their main goal is to deliver what our client contracts for—consistent with all specifications, codes, standards, and delivery schedules, as well as always meeting or exceeding the highest expectations. We are committed to providing Customers with quality products and services that meet or exceed our Customers‘ requirements. We are committed to ensuring our products and services meet required regulatory or statutory requirements. Customer Satisfaction and Product Quality is each employee’s responsibility and we provide resources and the environment to achieve this objective. We are committed to continuous improvement of our products, services, and business processes. We are dedicated to the communication and fulfillment of the Quality Policy throughout the organization. Further, we have adopted a series of six metrics, and continually track, measure and report on our performance against each—Customer Satisfaction, Schedule Performance, On-Time Delivery, Product Performance, Cost of Poor Quality (COPQ) and Corrective Action Performance. Maintaining a high level of safety is not just an outstanding indicator of a well-run operation, it is simply the right thing to do for any business. Throughout every Babcock business unit, we believe that we have an ethical stewardship responsibility for the well-being of every individual working at every location and at every job site, and it shows in the way we operate. For example, before even breaking ground on a site project, TEi Construction conducts a formal, detailed Job Hazard Analysis, and works to alleviate any potential threats—no matter how small—through controls, mitigation and training. It’s just one of the reasons that the group maintains an enviably low OSHA TIR score, and, as of late 2017, has logged more than 5.6 million man hours without a lost-time accident. At BPI, our engineers are highly visible, well-respected leaders in the industries they serve, including coal, oil, gas, refuse, petroleum, coke, biomass and solar powered energy. They have an average of 20 years of hands-on experience in their disciplines, and they hold numerous positions on key industry and code committees including those within NFPA and ASME. We have found that this level of peer-to-peer participation helps ensure that our products and services meet today’s highest standards and help drive the innovative developments of tomorrow. 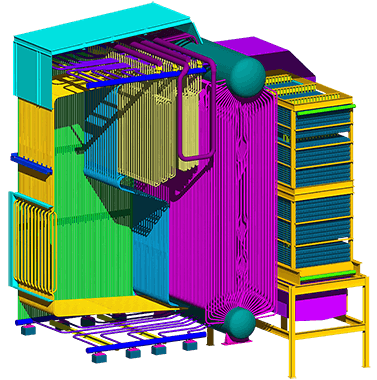 From computer-aided engineering and design to intelligent P&IDs and computational fluid dynamics, the diverse expertise of our engineers enables us to offer a full spectrum of value-added services. With a focus on continuous improvement, the team works toward reducing capital costs and operational and maintenance costs for our customers, while bolstering system performance and reliability. 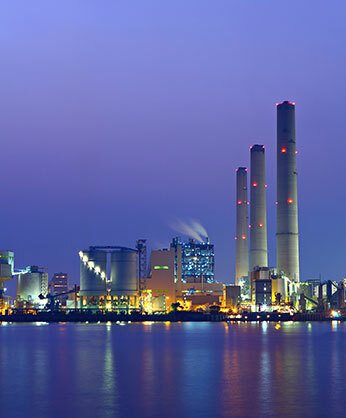 BPI has been providing environmental control systems to the power and process industries for nearly half a century, and has provided highly efficient energy-related equipment—and helped organizations maintain high performance operation through high quality aftermarket parts and services—for decades longer still. In addition to helping our customers excel in their environmental performance, as a company, BPI is, not surprisingly, extremely cognizant of our own environmental performance, and works to maintain the optimum level of sustainable performance in every operation. No wonder that, in addition to our outstanding Quality and Safety record, we also have had ZERO environmental and health incidents since 2009. Mike LeClair was promoted to the role of President and CEO of Babcock Power Inc. in June of 2009. Mr. LeClair has been with BPI since its founding and an integral part of the executive management team. With a keen focus on credibility, safety and environmental sustainability, Mr. LeClair successfully built a team of dedicated professionals who together launched Babcock Power Inc. as a worldwide success in power generation and green thinking. He started with Vogt Power International in 1999 as Vice President of Engineering, advanced to Chief Operating Officer of Vogt Power International in 2002, and in 2006 became President and CEO of Vogt Power International (VPI). Mr. LeClair has more than thirty-two years of experience in the power industry holding a variety of positions with major companies in the power generation market including: Combustion Engineering/ABB, Tampella/Steinmüller and Kvaerner. Mr. LeClair received his B.S. in Mechanical Engineering from the University of Massachusetts and his MBA from Western New England College. Xavier Dorai was named Chief Operating Officer of Babcock Power in April 2015. Previously, Mr. Dorai was President and CEO of TEI. He joined Babcock Power Services Inc. in June 2008. With over 25 years of experience in the power generation industry, Mr. Dorai is skilled in the development and implementation of strategic direction to achieve company objectives. He has held a variety of positions with Babcock Power Inc. (BPI) and its subsidiaries including: Chief Operating Officer of TEi; President and CEO, Babcock-Thermo Clean Combustion; Vice President Sales North America, BPI; and Vice President, Engineered Projects & Support Services, BPS. Prior to joining Babcock Power Mr. Dorai served as Vice President of Services for the Midwest and Western Regions at Foster Wheeler Power Group. Mr. Dorai received his M.B.A. degree in Finance, International Business and General Management from the Booth School of Business, University of Chicago, his M.S degree in Mechanical Engineering from Southern Illinois University, and B.S. in Mechanical Engineering from Anna University. Jim Dougherty joined Babcock Power Inc. in March 2002 as President of Babcock Power Environmental Inc. Mr. Dougherty applies a broad range of experience in large capital projects, project management, and plant operations in his innovative leadership style of this group. Prior to joining BPI, Mr. Dougherty was Senior Vice President of Engineering and Construction for Wheelabrator Technologies, Inc. In that capacity, he managed large retrofit projects, engineered solutions, and conducted complex contract negotiations. At Wheelabrator Technologies, Mr. Dougherty served in a variety of positions in plant operations, including the management of 16 independent power plants located across the country. Mr. Dougherty is a co-inventor on four patents for plant operations. He received a Bachelor of Science in Marine Engineering from the United States Merchant Marine Academy, Kings Point, New York. Ed Dean joined Babcock Power Inc. in 2008 as Vice President, Western Region for Babcock Power Sales and was promoted to President of Babcock Power Services Inc. in October 2009. He has more than 35 years of experience within the power industry, an extensive background in construction and project management, and has held numerous business leadership positions. Incorporating his passion for client focus into his vision for the BPS business unit, he leverages the company’s excellent product and service portfolio to provide clients with personalized, integrated solutions. Prior to BPS, Mr. Dean served as Executive Vice President, Power Services & Construction for the Foster Wheeler Power Group, and led the Central Region Power Services business unit as Regional Vice President. Mr. Dean has also worked for Tampella Power as Director of Project Management and at ABB Canada as Director of Project Management & Construction Services. Mr. Dean received his bachelor’s degree from California State University Long Beach. Ken Murakoshi, President and CEO of Thermal Engineering International (USA) Inc. (TEi), leads the TEi group in tackling complex challenges by driving innovative solutions unmatched in power industry applications. Ken joined TEi in 1991 as Manager of Contracts Administration. Over his 28-year tenure with TEi, Ken progressed to leading project management and field service before becoming Vice President and Chief Operating Officer from 2000 until 2005. During this period, Ken was responsible for acquiring the intellectual property of EFCO and Struthers Industries and subsequently establishing and growing the Struthers Wells line of products within TEi. From 2009 until 2012, Ken was the President of Struthers Wells and established the Struthers business in Houston, TX, diversifying its portfolio of equipment and designs for heat transfer applications. Ken has also led strategic planning, business development, and sales and has been focused on international expansion, most recently as Senior Vice President of Sales and Business Development driving revenue generation and strategic partnerships globally. Ken holds a bachelor’s degree in Operations Management from Cal Poly Pomona and completed the Executive Management Program at the UCLA Anderson School of Management. Christopher Turner was promoted to President & CEO of Vogt Power International Inc. in December of 2017. In this role, Mr. Turner will be the guiding force in the company’s global strategy with a strong focus on driving global strength. During his 12-year tenure at Vogt, Mr. Turner has proven to be a visionary leader with unique execution abilities. Coupled with his engineering and business experience, it makes Mr. Turner uniquely qualified to lead each phase of the company’s growth and success. Mr. Turner previously served as Vice President of Engineering and was responsible for all technical aspects of Vogt product design and development. He started at Vogt Power in 2008 as Account Manager in Louisville, Kentucky and went on to hold various leadership positions including Vice President of Sales & Marketing and Director of Operations. Mr. Turner has earned a Bachelor of Science from the University of Kentucky College of Engineering and holds an MBA from Bellarmine University. Tony Brandano, Executive Vice President, Chief Financial Officer and Treasurer of Babcock Power Inc., joined the company in 2001 and was a key member of the executive team when the company was founded in November 2002. Since its inception, he has led the company’s financial operations including bank financing and surety renewals. Previously, Mr. Brandano’s responsibilities included worldwide financial reporting and audit coordination for Babcock Power Capital Corporation and its affiliates. Prior to joining Babcock Power Inc., Mr. Brandano acquired extensive experience working with several publicly traded companies, including Vice President of Finance at Palomar Medical Technologies (NASDAQ: PMTI); Vice President of Finance and CFO, respectively, at NaviSite (NASDAQ: NAVI) and iCast, both subsidiaries of the CMGI Group (NASDAQ: CMGI). Mr. Brandano began his career at Arthur Andersen in Boston where he became a Senior Manager in the High Technology practice and was involved in a number of public offerings. He is a Certified Public Accountant and holds a B.S. in Accounting from Merrimack College, North Andover, Massachusetts. William Ferguson, Jr. joined Babcock Power Inc. in September 2007 and is the Executive Vice President – Administration, General Counsel and Secretary of Babcock Power Inc. Prior to joining Babcock Power, Mr. Ferguson was a partner in the law firm of McCarter & English LLP. He previously was the Senior Vice President, Secretary and General Counsel of Raytheon Engineers & Constructors International, Inc. Before joining Raytheon, Mr. Ferguson practiced engineering and construction law as a partner at Gadsby & Hannah in Boston, Massachusetts, and as a partner in the McLean, Virginia office of Watt, Tieder, Killian & Hoffar. Mr. Ferguson holds a Bachelor of Engineering Science degree in Electrical Engineering from The Johns Hopkins University and a Juris Doctor degree from Boston College Law School. John Heffernan joined Babcock Power, Inc. in 2011 as Executive Vice President and Chief HR Officer of Babcock Power Inc., where he is responsible for all aspects of the function including performance management, training, organizational development, benefits and wellness initiatives, employee relations, compensation systems, employer branding, and talent acquisition. With proven effective leadership skills, Mr. Heffernan aligns HR to support the operational plans and competitive strategies of BPI. Mr. Heffernan joined BPI after serving at specialty chemicals manufacturer Rhodia, Inc. where he held various key leadership positions including Director of Global Human Resources and, most recently, Vice President of Human Resources for North America. Mr. Heffernan received his Bachelor of Science, Business Administration, from Ramapo College of New Jersey. DJ Harding was promoted to the role of Vice President Strategic Operations of Babcock Power Inc. in June of 2012. Mr. Harding plays a key role in helping to expand Babcock Power Inc.’s market and market share both domestically and internationally. He is responsible for overseeing market analysis, strategic planning including mergers and acquisitions. Strategic Operations will follow and evaluate market trends, competition, new markets and new technologies. Mr. Harding joined Babcock Power Inc. in 2010 as Manager of Strategic Operations with experience in investment banking and investment management. He came to Babcock Power Inc. from Sirios Capital Management, a Boston hedge fund, where he analyzed the electric utility, energy and healthcare services industry sectors. Mr. Harding has an undergraduate degree from Brown University in International Relations and Business Management. In addition, he received his MBA from the Wharton School of Business at the University of Pennsylvania.